FC Bayern München secured a routine 2-0 victory over TSG 1899 Hoffenheim in their 500th outing at the Allianz Arena on Matchday 19. With five out-and-out attackers in the starting line-up – including a first start for Arjen Robben since Matchday 13 – it was little surprise to see Bayern dominate the opening exchanges. With Hoffenheim sitting deep, the hosts enjoyed plenty of possession, the Dutchman coming closest when he fired over from a trademark run in the ninth minute. Pep Guardiola’s side continued to monopolise possession, with Thomas Müller twice testing Oliver Baumann, but it took until the 32nd minute to find the breakthrough against the well-organised visitors. Picking up the loose ball on the left-hand side, Douglas Costa beat two men before crossing for Robert Lewandowski, who made no mistake from close-range to give Bayern a deserved half-time lead. The champions continued in the same vein after the break, Xabi Alonso forcing an excellent save from Oliver Baumann within one minute of the restart. 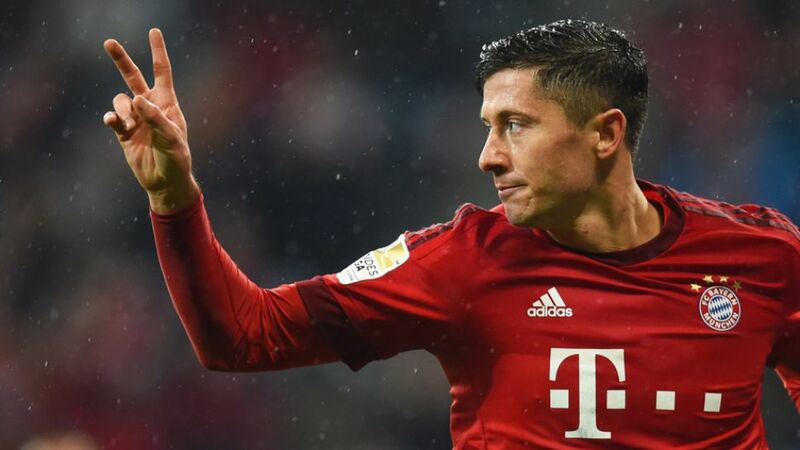 Despite Andrej Kramaric threatening on the break at the other end, it was Bayern who scored a deserved second when Lewandowski latched onto Philipp Lahm’s through-ball and dinked over Baumann. Substitute Arturo Vidal struck the post in the closing stages but it mattered little - Lewandowski had long since decided matters. Although Joshua Kimmich impressed in an unusual role in defence, it was hard to ignore another impressive performance from Lewandowski. The Poland captain scored his second brace in as many games in 2016 and could easily have had more. Despite the absence of Jerome Boateng, Bayern were rarely threatened in defence. Only twice did new Hoffenheim signing Kramaric get in behind, but twice he fluffed his lines. Kimmich put in a solid performance on the right of the back three, while David Alaba was equally impressive on the left, with Holger Badstuber unflustered between them. Lewandowski now has more goals this season (19) than the entirety of last term (17).Hoffenheim have only managed to score 19 goals this campaign.For the fifth time this season, the Pole scored at least twice in a game.This was Lewandowski’s second successive brace – he netted twice against Hamburger SV on Matchday 18.